Given the high hurdles for potential purchasers to overcome with regards to credit and cash in the New York Metro Region, the FHA program eases the path to homeownership. The FHA is the Federal Housing Administration, a division of the United States Department of Housing and Urban Development (HUD). The FHA has been one of the single best ways for homebuyers to purchase a home since its inception in 1934 under FDR’s New Deal. FHA guidelines make the experience of homeownership more accessible to more people. The guidelines are designed in such a way as to provide Lenders with more flexibility. The FHA is an insurance program whereby the mortgage loan is insured by the United States government. Further, FHA is the only Federal agency that is totally self-funded; FHA does not take any taxpayer money! 1. Cash requirements lower: If a Purchaser obtains conventional financing with a 5% downpayment, the total cash required on a $475,000 Single Family purchase would be approximately $60,000 (downpayment, closing costs and 2 months PITI reserves). The same Purchaser using an FHA loan would need approximately $20,000 (3.5% downpayment; Seller can pay the Purchaser’s closing costs and no reserves are required). 2. FHA allows for a higher “Debt-To-Income” ratio. Also, FHA allows on a single family or condo that the Purchaser can have Non-Occupying cosignors from the Purchaser’s family assist in qualifying for the mortgage loan. 3. Credit scores lower: FHA does not have a credit score requirement. However, Lenders are permitted to overlay their own Underwriting criteria on FHA guidelines. Currently the credit score standard among most Lenders for an FHA loan is a minimum credit score of 620 (some Lenders go down to 580). For a Conventional loan with PMI (Private Mortgage Insurance) a Purchaser need have at least a 720 credit score. 4. Expanded Opportunity to Purchase: On any given day there are many people wishing to purchase a home who don’t have the money for a large downpayment PLUS closing costs. Living in New York is expensive. For the average New York family earning approximately $100,000 annually to save $60,000 is an extremely difficult undertaking considering the high housing expense and other high cost of living expenses. Saving a $20,000 downpayment is an easier exercise thus making the dream of homeownership more accessible. 5. After Purchase Marketability: The FHA Purchaser in today’s market is effectively locking in today’s interest rate for a future homebuyer in the resale of the home. For example, if a Purchaser of a Single Family home closed today at a 30year fixed rate of 5.375%, that purchaser/owner could conceivably resell the home seven years from now to a person who would assume the FHA loan at today’s rate. If rates are higher in the future, this makes for a more opportune marketing potential. In conclusion, the FHA program surprises potential homebuyers with its accessibility. These are people who never thought they could own a home. Specifically to the New York market, given the high hurdles for potential purchasers to overcome with regards to credit and cash, the FHA program eases the path to homeownership. 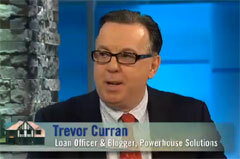 More about FHA and where to find an approved FHA Lending Institution at The FHA Website.